Welcome to our website, we are small show team based in the Forest of Dean, in Gloucestershire. 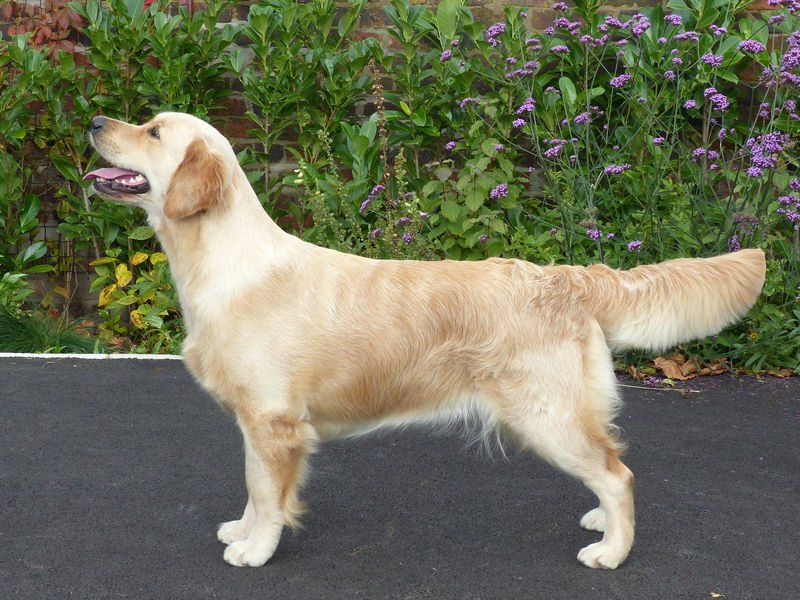 We have been owned by golden retrievers for the past 30 years and it wasn't long before we tried our hands at showing after some lessons from out local training class. From the first time we won a rosette we were hooked. In those days we showed under the Goldendreams affix, not a major player but we had some moderate success at Open Show Level and Paula was a keen junior handler who enjoyed many wins and also featured in a book. The house was empty for a number of years after loosing our oldest golden at the grand old age of 16 1/2 years. When the time was right we came across Jake, who was brought as a pet as there was no intentions of returning to the showring. This didn't last long and when Jake was 8 months old, Paula returned to the ring once again. Unable to re-register the Goldendreams affix, the Sandaula affix was choosen, it was our 4th choice. The affix was made up from the names of Sandra and Paula and this was the beginning of our new interest in the breed and the show scene.